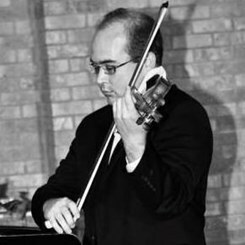 Kyle VanArsdalen is a violinist and teacher new to the Triangle area. He has taught students of all ages (from young children to adults) and ability levels (from beginner to college level). Most recently, VanArsdalen taught for an outreach program run by Virginia Tech. He received a Bachelor of Music in Music Education and Master of Music in Violin Performance from Bowling Green State University, in Bowling Green, OH; where he was also a member of the Bowling Green State University Graduate String Quartet. He has performed in orchestras in North Carolin, Ohio, Michigan, and Kentucky.